Everlast Blacktop understands that it’s important to take our time with concrete driveways and stamped concrete driveways to ensure that they are done right. This affects the lifespan of the project. As a concrete contractor with over 25 years of experience in quality artistry, you can be sure that our work will last. Everlast Blacktop has been the preferred choice of many in the Chicago area when it comes a trustworthy concrete driveway contractor. If you are in the Barrington Hills area and need a quote, then contact our office today. Barrington Hills, Illinois includes the greater Barrington area in its suburb and has a population just over 4,200. Barrington Hills is known for farming and horses which have carried over to the names of the local schools, the Broncos, and Colts. Everlast Blacktop is a leading concrete contractor that treats every job with importance because we value our customers and take pride in quality concrete driveways and stamped concrete driveways. Everlast Blacktop is a concrete driveway contractor that enhances any residential or commercial property with our concrete work. Everlast Blacktop is dedicated to the Chicagoland area, and we guarantee that we stand by our work as a concrete contractor. Don’t settle for less when we give you the most reliable workmanship with all our concrete driveways and stamped concrete driveways. When you want the best in the business, Everlast Blacktop concrete driveway contractor is ready to help! 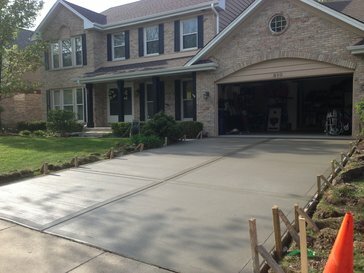 Whether you need driveway maintenance, pavement repair or pre-cast concrete, call us today at (630) 855-5572 for a quote.